Sonos (SONO) shares are trading at 19.08, and the company is releasing its quarterly earnings on Monday, September 10, after market close. What's driving SONO stock price? What's SONO stock price forecast, and what should investors know about the stock? Sonos, a maker of high-end speakers had a dream IPO earlier this year. The largest company owner before the offering was a private equity firm KKR with a 26% stake. Sonos reports in three segments: wireless speakers, home theater speakers, and components. Speaker sales make a bulk of the company’s total revenue. 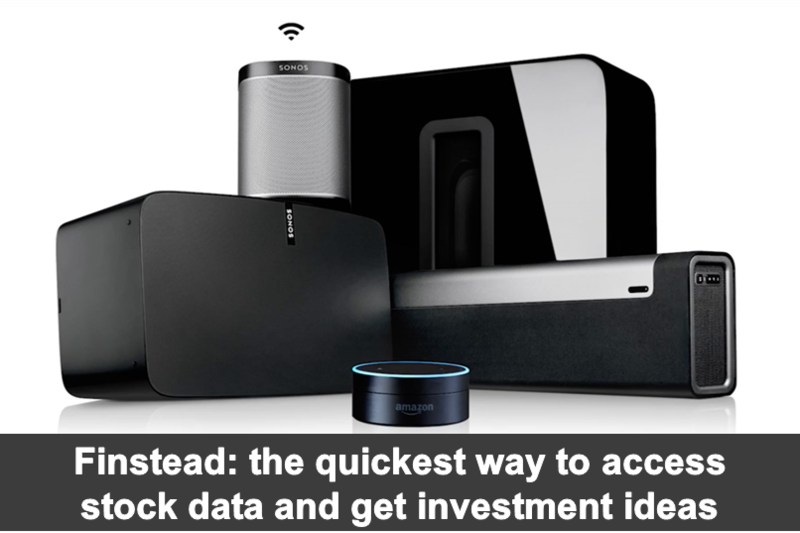 Some investors have voiced their concerns about the competitive home audio market. On the other hand, the bulls are confident of the company’s loyal customer base and the expanding product portfolio. A unique thing for Sonos is that its devices are compatible with Alexa voice services and the company is working to make them compatible with Google Assistant and Apple’s Siri. The next quarter results will be released after market close on September 10, 2018. The company had reported revenue of $992.5 million for the fiscal year ending September 2017. This year the revenue is expected to cross $1 billion. 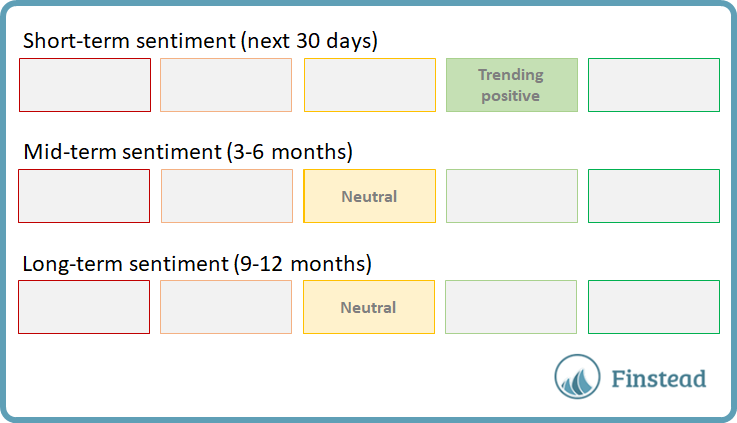 The long-term sentiment (9-12 months) is neutral. Over the last month, Sonos (SONO) returned -9.4%. Sonos (SONO) average analyst price target ($22.83) is 20.28% above its current price ($18.98). For the latest price and information on Sonos, please visit Finstead and search for "SONO price" or "SONO news". 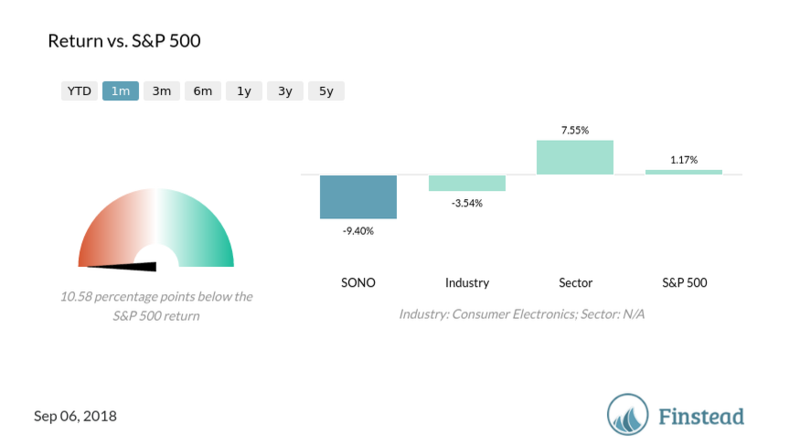 Are you looking for the analysis of Sonos (SONO) stock? Are you wondering what the bulls and the bears say about it? If so, you came to the right place. In this stock guide, we will share with you 5 reasons to buy and 4 reasons to sell SONO stock. You’ll get a perspective on what the bulls and the bears say about it. Is SONO a buy or a sell? Should I sell or hold SONO stock today? Is SONO a good buy / investment? What are SONO analyst opinions, recommendations and ratings? 1. SONO quarterly revenue growth was 5.80%, higher than the industry and sector average revenue growth (3.77% and 5.21%, respectively). See SONO revenue growth chart. 2. SONO profitability is improving. The YoY profit margin change was 2.81pp. See SONO profitability chart. 3. SONO Price/Sales ratio is 0.96, and it’s low compared to its industry peers’ P/S ratios. See SONO forward Price/Sales ratio chart. 4. SONO average analyst rating is Buy. See SONO analyst rating chart. 5. SONO average analyst price target ($16.17) is above its current price ($11.93). See SONO price target chart. 1. SONO forward P/E ratio is 35.87, and it’s high compared to its industry peers’ P/E ratios. See SONO forward P/E ratio chart. 2. SONO Price/Book ratio is 3.98, and it’s high compared to its industry peers’ P/B ratios. See SONO forward Price/Book ratio chart. 3. SONO short share of float is 15.52%. The stock is much more frequently shorted than the average industry, sector or S&P 500 stock. See SONO short share of float chart. 4. SONO short interest (days to cover the shorts) ratio is 6.65. The stock garners more short interest than the average industry, sector or S&P 500 stock. See SONO short interest ratio chart. What are your thoughts on SONO?